The sixth century B.C.E. carries a great significance in the history of the world because it witnessed the birth of many great spiritual teachers in various parts of the world, from Israel to China, who heralded a new age of great spiritual movements and profound philosophies. One of them was Vardhamana Mahavira, who redefined the ascetic way of life and gave a new impetus to the ancient Indian tradition of Jinas, which was at least a thousand years old by the time he was born. So committed he was to the ascetic path and so true he was to its ideals that he was probably the ideal for the monks whom Alexander saw during his brief sojourn into the fringes of the Indian subcontinent. Mahavira's birth also coincided with a great spiritual awakening in the Indian subcontinent characterized by numerous ascetic movements, which challenged the old order and offered various alternatives to alleviate human suffering and achieve salvation. The Buddhist text, Suttanipatta records at least 63 of them. Among them were believers in karma and individual actions (kriyavadis), fatalists (akriyavadis), agnostics (ajnanavadis) and moralists (vinayavadis). In this tumultuous period of great spiritual churning, Mahavira stood out prominently propagating the ancient path trodden by the Jinas for centuries, beginning with the first Tirthankara, Vrishabha, which was not only hard to practice, but offered no comfort to the practitioners until they attained the final goal of liberation. It was also the time Buddhism was on the rise, while Hinduism was reasserting itself by discarding outdated practices and embracing new philosophies, divinities, and sectarian movements. In these circumstances, Vardhamana was born at Kundanagrama, near modern Patna, in a Kshatriya family of Jnatrikas, also known as Vajjis. Although there are different opinions regarding his year of birth, consensus opinions favors 599 B.C.C., which was approximately 32 years before the birth of the Buddha (567 BC). His father's name was Siddharatha, who was either a feudal lord or a local chieftain who served King Cetaka of Vaisali, a small principality in the Magadha region (which corresponds to north Bihar. His wife and Mahavira's mother, Trisala, was a Licchavi princess and sister of Chetaka. The family was connected to Bimbisara, the powerful ruler of Magadha, through his wife, Chellana, who was a daughter of Chetaka. Chetaka was also connected to four other kings of his time through his daughters to whom he gave them in marriage, namely King Udayana of Sindhu-Sauvira, King Dadhivahana of Champa, King Satnaikar of Kausambi and King Pradyota of Avanti. Thus, although Mahavira's father was not a king, he hailed from a very influential royal family, and Mahavira grew in opulence, in a protected and secluded environment, enjoying the comforts and privileges his birth entailed. Probably his father had some expectations from him in worldly life. Hence, he was named Vardhamana, meaning growing in vigor, fame and wealth. He also had a brother named Nandivardhana, who was destined to play an important role later in his life. The Jain texts narrate many incidents related to his childhood, pointing to his physical and mental abilities. Because of the courage and strength he displayed as a child, he earned the name Mahavira, meaning a great warrior. As a child he also imbibed the basic philosophical notions of Jainism which his parents practiced as followers of Parsvanatha. 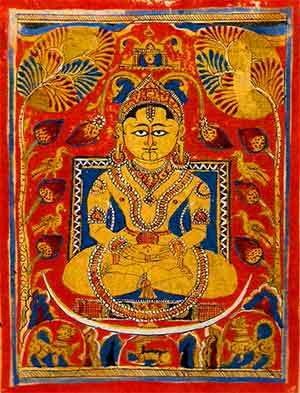 Up to the age of 30, Mahavira spent his life in the comforts of a royal household. The fortunes of his family also grew after his birth. However, from an early age, Mahavira seemed to have developed a distaste for the state matters and luxuries of life and spent his time mostly in contemplation and meditation. Jain scriptures portray him as having developed clairvoyant powers (avadhi jnana) and scriptural knowledge (sruta jnana) from birth, a common trait expected of all the Tirthankaras born before him. There are conflicting accounts about his marriage. According to the Svetambara texts, he was married to Yasoda and had a daughter named Priyadarsana through her. The Digambaras believe that Mahavira took ascetic vows early in life and never married. Whatever may be the truth, Mahavira was not cutout for continuing his father's profession. However out of respect for his parents, he waited until they passed away when he was 28. Then at the age of 30 with the consent his remaining family members, and handing over the family matters to the care of his brother Nandivardhana, he renounce worldly life and entered the ancient ascetic path followed by the Tirthankaras who were born before him. For the next 12 years he wandered from place to place leading a life of severe austerities and spending his time mostly in remote forests and hilly regions often inhabited by dangerous tribes. Unlike the Buddha, he followed the textbook version of Indian asceticism, never compromising on his ideals and never withdrawing from the path he chose to follow. According to the descriptions available in the texts, after leaving his home and renouncing his householder's life, he went to a grove named Khandavana in the outskirts of his home town and became a Sramana, or a wandering monk, by taking ascetic vows under an Asoka tree nd shedding his family name. Since he was a Tirthankara, who was born with a purpose, he had no guru to initiate him or guide him. He initiated himself and guided himself, drawing support from within himself and reaming truly alone (kevalam) in word and deed. After he began his life of renunciation, he suffered numerous hardships, insults and injuries. Immediately after taking the ascetic vows, he fasted for a few days and plucked off his hair strand by strand to mark his renunciation. He gave some of his clothes to a poor Brahmana and discarded the rest when they were entangled in thorns and torn. He remained naked and without possessions for the rest of his life. For the rest of his life, he did not carry bowl or a staff. When people gave him food, he ate it from the palm of his hands. He wandered alone and stayed wherever he could find a place. Because of his appearance, at times he faced hostility from the local people. At a place called Ladha, people harassed him setting upon him dogs, throwing stones, beating him with sticks and heaping insults. 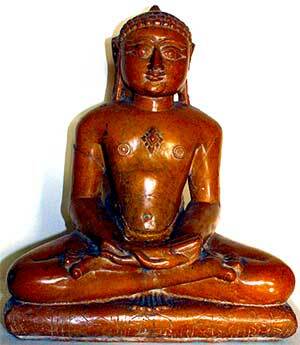 However, despite these incidents, Mahavira kept his calm and remained steadfast in meditation and keeping his vows. As he progressed, he became completely detached and indifferent to the dualities of life, free from attraction and aversion and other accompanying mental weaknesses. He never took medication for any illness he suffered during this period. He never bathed or cleaned his teeth or cared to observe the social norms. At times he fasted for days without food and water. Ignoring his own physical discomforts, he wandered continuously, never staying at the same place for more than a day, except during the rainy season, when he changed his schedule. He did it selflessly to avoid harming and hurting the tiny creatures that appeared after rains in large numbers. The Jain monks are continuing this tradition even now. They remain at one place during the rainy season and keep wandering during the rest of the year. A similar practice was followed by the Buddha also. Mahavira lived in this manner for twelve years and attained omniscience in the thirteenth year, at the age of 42. The Jain texts recorded the event stating that it happened on the tenth day of the bright half of the month of Vaisakha when he sat in meditation near a Sal tree "on the northern bank of the River Rujupalika outside the town of Jrimhikagrama," in a field owned by a villager named Samaga. He attained the highest knowledge, the all knowing awareness, and became free from duality (kevalin), the all knowing one (jina) and the qualified one (arhat). He would spent the next thirty years of his life, spreading his message to interested seekers and helping and organizing an Order of ascetics who committed themselves to his path and work for their salvation. He also converted some members of his family, especially from his mother's side to his teachings, and received patronage from some. It is interesting that in the lifetime of Mahavira, more women, nearly twice the number of men, joined him and took ascetic vows. A great deal of Mahavira's success goes to his organization ability. He was a natural leader, although he was not prone to speak to people unless needed. He organized his organized his growing congregation of followers into four groups, monks, nuns, laymen and laywomen. To guide them and help them he appointed 11 chief disciples or Gandharas. He divided the monks, numbering about 14,000, into nine divisions or ganas, each headed by one of his chief disciples. He placed the nuns, numbering about 36,000, under the leadership of his cousin and a senior nun, Candana. To guide the lay followers, Sravakas, numbering about 159,000, he appointed his chief disciple, Sankha Sataka, as their leader and guide. Finally, he entrusted Sulassa and Revati with task of looking after the laywomen, numbering about 358,000. 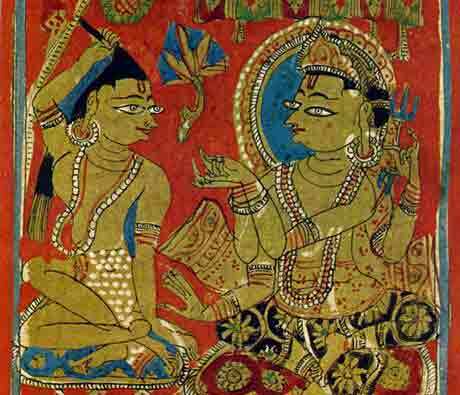 In organizing his community of ascetics or lay followers, Mahavira showed no caste distinctions. He prescribed the same set of rules for monks and nuns. He also made some changes to the basic Jain doctrine by adding a fifth vow, the vow of chastity, to the four vows prescribed by Parsvanath, namely, not to inure life, not to lie, not to steal and not to possess any material things. Mahavira also emphasized the importance of the three Jewels of Jainism, namely right faith, right knowledge and right action. He kept a watch over their spiritual progress, emphasizing the importance of spiritual purity, nonviolence and ethical conduct. Although Jainism was strictly an ascetic religion, by permitting the lay followers to join the ranks he ensured that the Order would never be short of monks and resources. The laity was the first step where an individual had an opportunity to test the doctrine and prepare himself or herself mentally for the rigorous life that awaited each monk and nun. It offered a testing ground for those who were not yet ready for the journey or those who needed some push and motivation. During the thirty years of life he spent in propagating his teachings and helping his followers on the spiritual path, Mahavira attracted the attention of many rich merchants, financiers, kings, queens, princes, and noblemen. His personal charisma, family background and relationship with many royal families from his parents' side also played a part in drawing them into his fold. However, we are not certain how many kings actually converted to Jainism, since both Buddhism and Jainism claim the patronage of the same kings. According to the Buddhist text, Anguttara Nikaya, Jainism became the state religion of the Licchavis and the Lichchavi prince Abhaya converted to Jainism. The Mallas also maintained a cordial relationship with him and probably practised Jainism. After spending thirty years in spreading his teachings, Mahavira finally left his body in 527 B.C. at the ripe age of 72, at a place called Pava, which is now located near the present day Patna. It is now considered as the most sacred pilgrim center by Jains. It is said that he died in a palace of the king Shastipala of the Mallas and when he died 18 confederate kings lighted lamps and kept the illuminations as a symbol of the light and knowledge that he left behind. 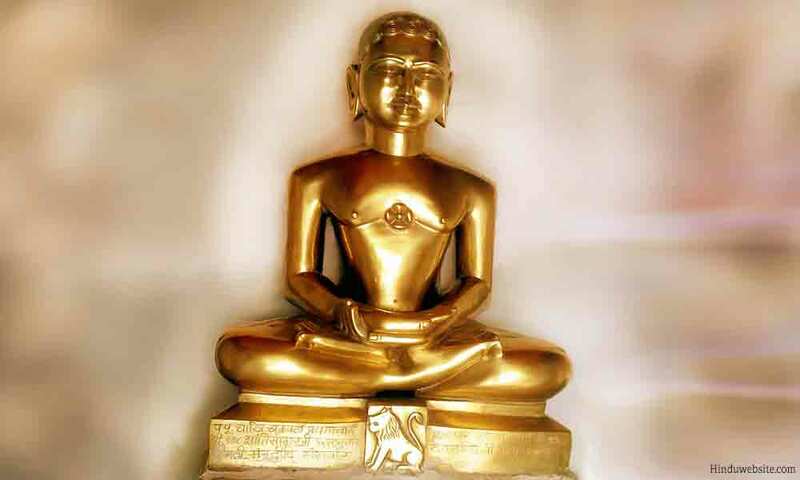 Vardhamana Mahavira is one of the greatest sons of ancient India who was equal to the Buddha in stature and greatness, though lesser known in the outside world. He lived an exemplary life and never compromised on his principles. He was as strict with others regarding ethical conduct as he was with himself. He represented the highest sacrifice a human could make on the ascetic path. In his whole life as teacher of monks, Mahavira never invited himself to anyone's house as a guest. Unlike the Buddha, he avoided social interaction with the outside world to the extent possible, unless such interaction was necessary from a spiritual perspective to help someone on the path to enlightenment. He also preached his followers in the local vernacular language rather than Sanskrit so that his message would reach out to the most ordinary men and women, not just the higher castes. India owes a great deal to this noble Soul who influenced the attitude and thinking of Indians of subsequent generations, especially concerning the practice of non violence, austerities, good conduct and vegetarianism. Mahavira revived Jainism and attracted the attention of many influential people and intellectuals of his time, which contributed to the popularity of Jainism in various parts of India. His teachings are preserved in the 12 Angas which are followed by the Digambara Jains faithfully. His principle of nonviolence influenced Gandhi, who was born and brought up in Gujarat, a region where Jainism flourished for over 2000 years. Jainism: The World of Conquerors, Volume 1 By Natubhai Shah, Published by Motilal Banarsidass Publishe. Jainism, edited by Helmuth Von Glasenapp, Pages displayed by permission of Motilal Banarsidass Publ. Jainism and Indian Civilization edited by Raj Pruthi., Published by Discovery Publishing House. Outlines of Indian Philosophy By M. Hiriyanna, Pages displayed by permission of Motilal Banarsidass Publ.. Copyright. Attribution: The images of Mahavira used in this article are eitehr in public domain or licensed under the Creative Commons Attribution-Share Alike 3.0 Unported license.